The cryptocurrency market has become a field of dreams for some, while for others it’s led to misery. Yet, with the growing number of cryptomarket traders needing to be extra vigilant, the cryptomarket continuing to deliver unprecedented volatility and unpredictability. In contrast to 2017’s almost one directional trade that delivered exponential gains, today’s market is somewhat different and, while there are gains to be made through the intraday volatility, sizeable losses are also there for the less cautious, with the nascent market leaving the successes of blockchain platforms as an afterthought for a large proportion of investors currently invested. The very nascence and volatility is what has drawn seasoned traders and even novice traders into the cryptoworld. The daily volatility providing earning potentials that are far more enticing than from the more mature asset classes. If you’re just taking a punt, it doesn’t matter what you’re investing in, the losses will eventually mount if you keep chasing the win, requiring traders to have an appropriate strategy in place before diving in. While there are multiple steps involved in preparing to trade cryptocurrencies, one of the most important steps is to identify and download a digital wallet that is compatible with the cryptocurrencies you are looking to invest or trade in. A digital wallet enables cryptocurrency holders to purchase a chosen cryptocurrency on an exchange and then transfer the cryptocurrency from the account held on the exchange to a privately owned digital wallet that has appropriate security levels to protect the acquired cryptocurrencies from theft, something that exchanges have been unable to prevent. Our recommendation would be to opt for a digital wallet that has been recommended by the respective cryptocurrency websites, compatibility particularly important when dealing in the virtual world. The compatibility will not only need to be with the chosen cryptocurrency, but also with your personal storage device, whether it’s Apple’s Mac, android phone or Windows. 1. Go to the Electrum website and select Download. 2. For easy installation, choose the appropriate digital wallet version depending upon your storage platform, in this case we are using Windows Standalone Executable. 3. Once the executable has been downloaded onto your desktop, run the executable, choosing ‘auto connect’ when prompted and selecting Next. 4. You will then be prompted to choose a wallet name. Enter a name and click Next. 5. You will then be asked what kind of wallet you wish to create. Our recommendation would be to select wallet with two-factor authentication and then click next. 6. Read the disclaimer and then click Next, where you will be asked whether you want to create a new seed, or restore a wallet using an existing seed. As you are creating a new wallet, select ‘Create a new seed’ and click Next. Remember that it is imperative to store your wallet address and 2-tier log-in information safely to avoid loss of coins and to always transfer acquired coins to their respective wallets to avoid loss from theft. 7. You will then be given 12 words that you must store in a safe place and ideally in multiple places as these will be needed in event that you need to recover your wallet in case of computer failure. Losing the 12 words will result in the loss of coins held in the wallet. DO take note of the warnings outlined and then Click Next. 8. Confirm seed by entering the 12 words that you have copied down to store away safely and click Next. 9. You will now be prompted to choose a password to encrypt your wallet keys. Enter and confirm your new password and click Next. We recommend that you do not opt to disable the encryption. 10. Your wallet creation is ready for its final step for which you will need to be online. Once online, click Next to continue. 11. Enter your email address and click Next to accept terms of service, where you will be prompted to scan a QR code to then enter a 6-digit number and click Next. (You will need Google Authenticator for this step, which can be downloaded, and you will need to ensure that the correct code is entered, as the code changes with time). 12. Your Electrum Digital Wallet should now have been created and you are able to transfer your newly acquired cryptocurrencies to your new digital wallet. While downloading a digital wallet to house cryptocurrencies will be considered a key administrative step ahead of making the first trade, formulating a trading strategy is undoubtedly the most important pre-investment/trading process for any prospective trader. 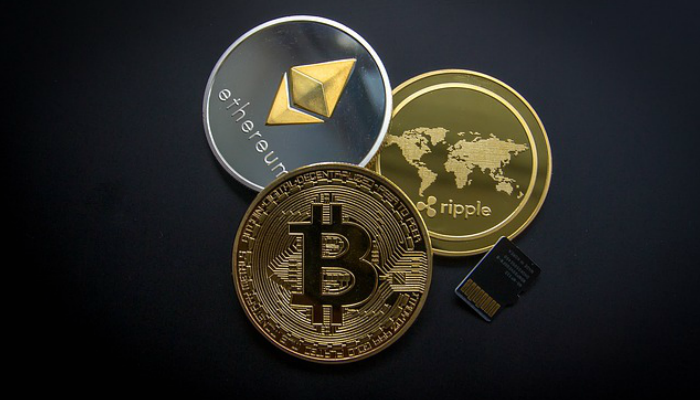 – Which cryptocurrency or cryptocurrencies you are going to invest in and the basis for selection, the more liquid pairings more advisable for short-term trading strategies. – When selecting a cryptocurrency for trading, certain cryptocurrencies may have values that extend beyond a total investment size, the use of CFDs provides exposure without having to actually buy Bitcoin, which would negate the need for digital wallets and so on. – A blended short, medium and long-term strategy would suit traders with the adequate time and resources, while also incorporating the appropriate tools to protect traders from sizeable losses and limit the impact of volatility on buy and sell orders is also advisable, tools available on most exchanges. – Know when to take your medicine. It’s never a one trade game and there will be opportunities down the road to recoup losses. Having a strategy and sticking to it can be challenging. Successful traders will look to remove the influence of emotion on trading decisions and stick to the trading strategies prepared that can be relatively fluid. Once you’ve decided upon a trading strategy, the next step is to identify an exchange that allows a trader to abide by a chosen strategy. While cryptocurrencies remain unregulated, the regulatory landscape is shifting, governments and regulators beginning to introduce basic ‘Know your Customer’ (“KYC”) procedures, while also bringing in jurisdictional laws than can restrict traders from being able to trade in certain geographies depending upon domicile. Additionally, with the market unregulated, protecting your personal data and investments is also another reason to be particularly prudent in the selection process. – Location: A prospective trader/investor’s domicile may have different laws than other jurisdictions, making it advisable to buy and sell on an exchange within the same jurisdiction, where possible..
– Exchange trading volumes of the cryptocurrencies you are looking to invest or trade in. Coingecko provides details of trading volumes by pairings and exchange volume for individual cryptocurrencies to assist in the decision making process. In the case of Bitcoin, Binance having the largest market, with BTC/USD the largest trade pairing. – Exchange security should always be a factor irrespective of enticing offers and favorable fees. Short listed exchanges should be on an HTTPS site and should have 2-tier log in protocols to limit risk of loss from hacking. – Remittance and Deposit times. The more short dated a trading strategy, the more relevant this becomes. It’s also important to ensure that prices are locked at the time of purchase and sale and not on the day that cryptocurrencies are received or funds are remitted. – FX Risk: Exchanges may not always cater for the currency of the country in which the exchange or the buyer/remitter is located, making it important to ascertain how competitive exchange rates and fees are across the short-listed exchanges. – Payment method: With a number of banks having banned the use of credit cards to purchase cryptocurrencies, payment method has become more important, the option to fund accounts from a limited number of methods least favorable. It’s also worth noting that certain exchanges do not cater for the purchase of cryptocurrencies with fiat money. In order to protect your investment, it is essential to withdraw newly acquired cryptocurrencies from an exchange to your chosen digital wallet. Taking the earlier digital wallet and Binance as the preferred exchange, transferring newly cryptocurrencies couldn’t be simpler. 1. Go to your Binance account where you recently acquired your cryptocurrency. 2. Go to ‘Deposits Withdrawals’ tab that can be located in the ‘Funds’ section, where you are able to locate your newly acquired coins. 3. Select ‘Withdrawal’ and enter the required details, including the wallet address and select ‘Submit’. The newly acquired coins will then transfer from your Binance account to your downloaded compatible digital wallet and will be stored there until you wish to sell them. 4. Your Wallet address can be located by going to the Receive tab, where you can copy the address and paste it into the Binance Withdrawals tab section that requires your wallet address. This article was written by Bob Mason, FXEmpire’s analyst.